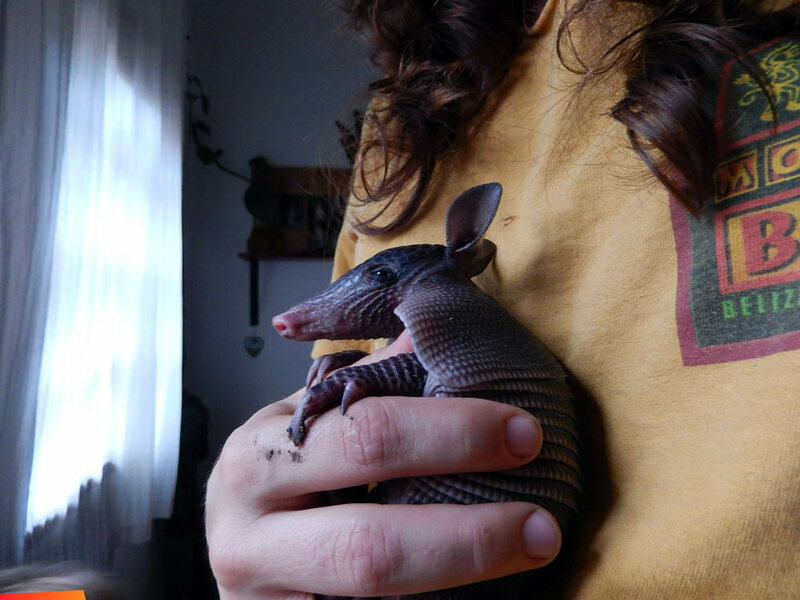 This baby armadillo was brought to us by some interns who found it swimming in the intensely flooded Xibun river.....I chided them a bit because armadillos are excellent swimmers and it's mother might have been nearby. At the point where it got to me, the damage had been done. It was raised to adolescence with minimal human interaction and then escaped into the wild.